I have a box in the utility closet where I keep boxes of all shapes and sizes. They’re my boxes in a box. 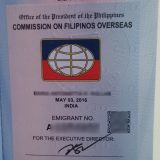 There’s a couple of extra-large balikbayan boxes as well as cardboard boxes that once housed all kinds of medicated syrup and vitamin bottles, and many more in between. They’re all folded neatly to save space. I’ve hung on to these boxes in case we needed to transform one into a prop for a school play or reuse the smaller ones as houses and buildings in a community-themed diorama. Still I knew something had to be done about my box hoarding compulsion before it got out of hand. 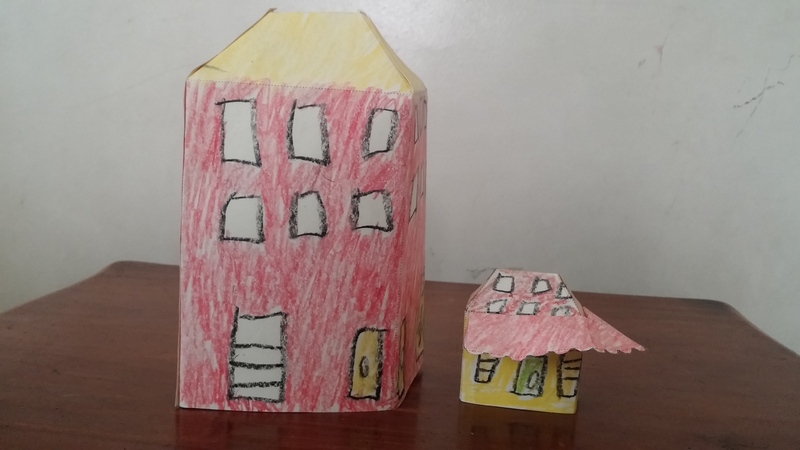 I’d hemmed and hawed about disposing of the smaller boxes until a few weeks ago, when a Googling spree led me to sites where one could download printable templates of 3D paper houses, paper buildings, and other kinds of foldable paper craft. After downloading the paper houses templates to my computer, I finally ditched all my small cardboard boxes! Making paper houses and paper towns for dioramas just got easier with these free templates for all kinds of paper buildings. No more fretting over creating a village diorama that looks like it was cobbled together the night before. Just bust out a color printer, construction paper and a pair of scissors, and your child will never have to feel ashamed of his diorama project ever again. 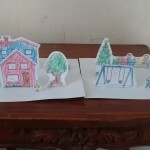 KidSpot, an Australian parenting website, offers printable templates that you can use to build a pop-up paper village. 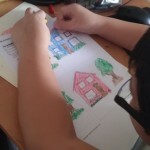 These printable paper house templates are my top choice because they are blank. 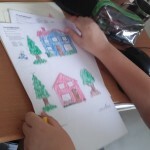 That means your kids can draw their own windows, doors, plants and other embellishments on the 3D model houses. Printable templates for a corner shop and town hall are also available for download. Canon Creative Park, provides a wide array of free downloadable materials for papercraft and scrapbooking. 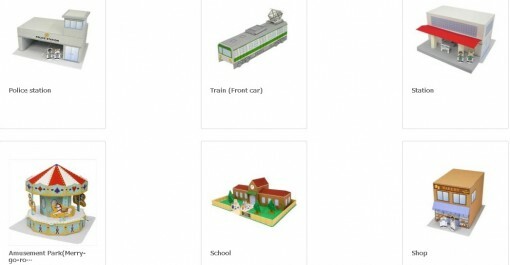 Templates for building paper villages and paper houses dioramas can be found in the site’s Craftown section. 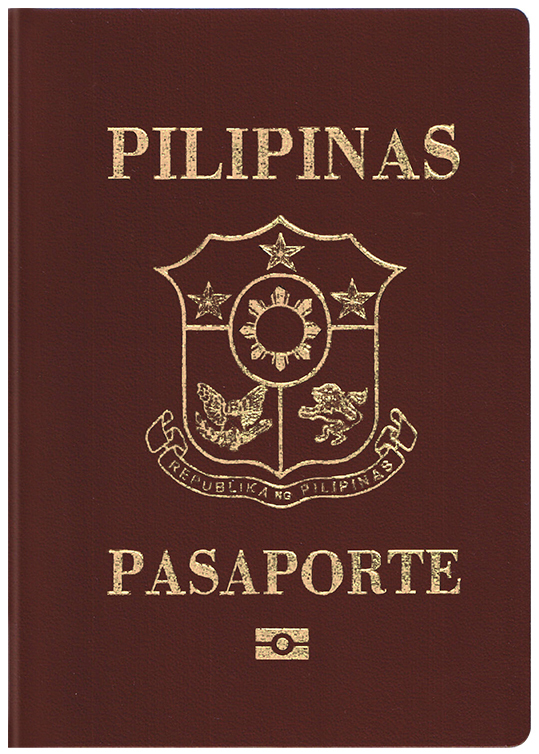 In addition to paper houses and paper school buildings, the site also has templates for other cool structures such as an airport, a pier, an amusement park roller-coaster, and a space shuttle, as well as vehicles like a passenger plane, a cruise ship, and school buses. 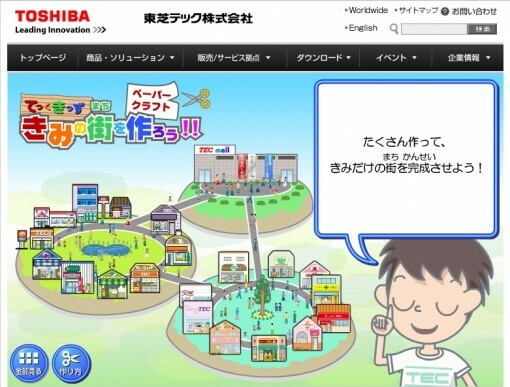 Toshiba TEC, the electronics giant’s division that manufactures point-of-sale systems (POS) and electronic cash registers, has a kids section on its website that provides templates for building a vast retail complex. Here you’ll find templates for a clothing store, supermarket, restaurants, salons, etc., basically stores and services where POS and electronic cash registers are used. You’ll also find paper templates for cool details, such as an escalator and a water fountain. This list provides links to all 3D paper models in the Toshiba TEC mini town. 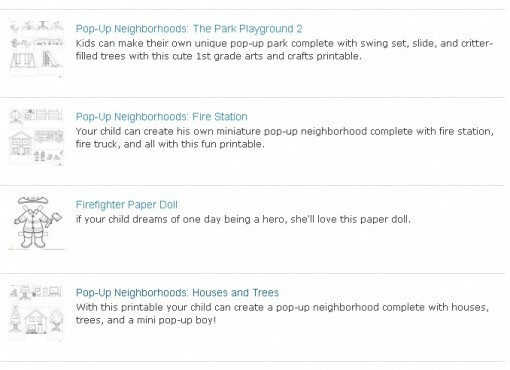 Education.com has printable templates for creating your own pop-up neighborhoods. 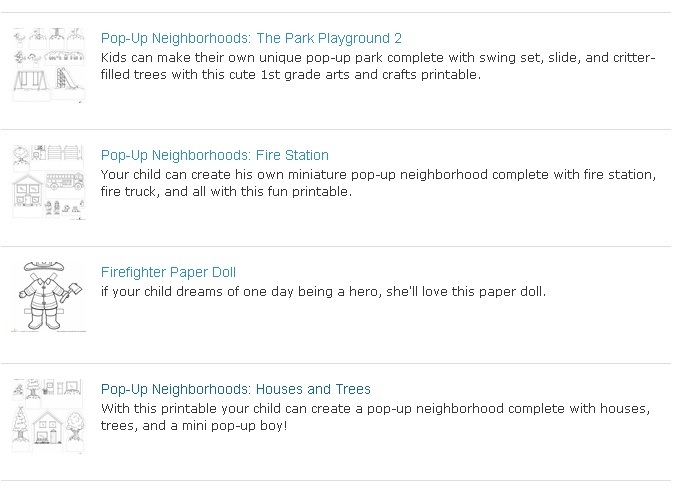 These templates lets you print flat (not three-dimensional) pop-up houses and trees, park playground, police station, etc. There are also templates for a pop-up Eiffel Tower and a pop-up Big Ben clock tower. These templates are in black-and-white so your child can color them any way they like. 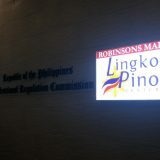 Next story The Mind Museum: A post-Christmas visit to the science & technology museum in The Fort.